This is the old archive of my blog. Please proceed to the home page (WeRnIS' Blog) for the latest posts. Hey guys, I have some news for you. My 21st birthday was a few days ago, it was very awesome and special. And guess what? We have played poker during it! Moreover, WBCOOP competition is coming to an end, and the voting has been stopped. I am in a lead, thank you guys so much. Many of you have shown such a big support, I am really proud to have friends like you! Several days ago, I had my biggest Poker winning (55$ Red Space Open Ticket), decided to keep the tournament money and use it little by little, because Sunday Million 6th Anniversary is coming up! I want to thank everyone who voted for me, you are the best! Today I had my first ever Straight Flush Diamonds 4 to 8 while playing No Limit Texas Holdem (0.05/0.10) ! I was waiting for it for a long time, feels great! I am back to United Kingdom after my Christmas Holidays spent in Lithuania. It was great, had a chance to play poker with some of my friends, will definately do that again when I will be back on summer! As you can see, I was playing in a Sunday Storm satellite tournament and won a seat in a Sunday Storm Main event! Good luck for me on Sunday! 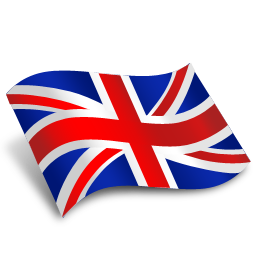 Will leave United Kingdom soon and will go back to Lithuania for summer holidays. Will teach some of my friend to play poker ha ha! 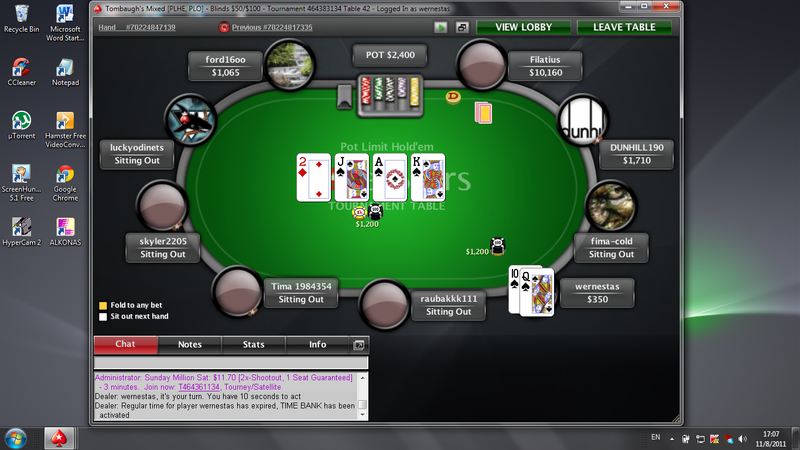 Today was a big day for me, I was playing in Tambaugh's Freeroll and had my first ever Royal Flush! I am originally from Lithuanian, currently living in United Kingdom. I became interested in Poker in 2011 October. My friend taught me on how to play poker. At some point understood, that there is skill involved and proceeded with forums, books, videos. At that time I was doing one of my businesses (I always do), so invested some money in poker. 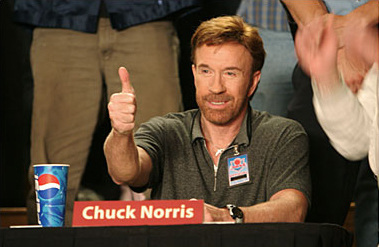 I always knew that PokerStars is the best online poker software, it is so easy to use, I like many things in it! So, I invested 20 dollars in poker. At first tried some low limit SnGs and Nano limit cash games. One of small turning points were starting to play Short stack strategy, which I had no previous knowledge of and pretty much created my own rules. Since the beginning I really enjoyed bluffing, but that is the art I use in special occasions only. Soon I understood, that I still need to improve, I could easily notice what mistakes I make, so I have tried not to repeat them. It is very good if you learn from your own mistakes. My first cash out was not for some silly stuff, but for poker books. Books help you a lot, you just need to find a time to read them. Thank you for reading my introduction, more posts to come!